Nice. Guy. The nicest guy you are likely to meet- the nicest guy you will probably never meet. A story of one man, Kang Maru, faced with obsession, sacrifice, and the dim light of a life that seems impossibly short in the face of his moral and emotional restraint. Kang Maru, a guy so nice he would assume a murder rap for the woman he loves, a guy so nice he would do anything to protect those he cares for. An infinitely complex anti hero he brings to mind another great character- Jay Gatsby. I was recently re-reading Fitzgerald’s masterpiece (during that time I marathoned Nice Guy). Perhaps it is coincidence, but I drew a lot of parallels in the characters of Maru and Gatsby, an obsessive, self destructive drive that could not have ended two drastically different ways. Like Gatsby, Maru embodied the tortured desire that can go so many ways, as many ways as a brooding fellow can drive it towards. However, unlike Gatsby, Maru had a more satisfying path (if not a more critically acclaimed one). So here is to the complex baby faced anti hero of the moment, Kang Maru. Kang Maru grew up in a socioeconomically disadvantaged neighborhood. Intelligent and over protective of his sister, Choco, Maru dreamed of becoming a doctor. Enter the prettiest girl in his neighborhood, Jae Hee, and our title character was set on a path of infatuation with serious consequences. Eventually Maru and Jae Hee began dating. At the time both were in college, Maru studying to be a doctor and Jae Hee to be a journalist. Flash forward a few years and Jae Hee is in her dream job as a hard hitting reporter while Maru started his journey as a hospital intern. Fast forward a little more and we see Maru proving his love for Jae Hee by taking a murder rap for her after a violent fight in a hotel room with an unidentified man. Jump on the drama time machine for a six year leap and we find Maru a changed free man- Jae Hee abandoned him while he was in prison, his dreams of becoming a doctor are shattered with his criminal record, and his only world is as a gigolo and bartender. Maru’s personality was savaged by his prison sentence, but just how much his nice guy image is torn is not apparent at first. A character of tightly controlled emotions a certain sadness creeps into the youthful Maru’s demeanor. Before long we witness Maru meeting Jae Hee once again (by pure coincidence) and we follow along as he faces the fallout of the toxic relationship he shares with his ex. Throw in the tough stepdaughter of his ex lover, Eun Gi, and our anti hero encounters a perfect path to revenge. Like a truly tortured antihero Maru follows a path of revenge directed at Jae Hee, now married to a rich man and a mother to bat. Our angry young man possesses a complex set of motives that makes viewers wonder if he really is that nice guy after all. Before long Maru has contrived enough situations to pull Eun Gi into a relationship, which appears wholly one sided (Eun Gi, the emotionally stunted daughter of a Chaebol clings to Maru, her first love). 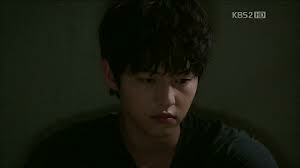 Despite his vengeful motivations Maru is endearing as he begins to care for Eun Gi, the one he planned to use. He cares about her enough that when the secrets hit the fan he makes a sacrifice so full of depression, darkness, and desperation that he makes 99% of the best antiheroes look like wimpy crybabies. I will not divulge the entire plot of Nice Guy here but needless to say Maru makes this story (or should I say the writer, director, and Song Joong Ki makes this story) rich and full of the type of melodrama I will never tire of. I am not a melodrama watcher on purpose- too often I am frustrated or disengaged from the constant sorrow the genre brings. Nice guy was different- because of the nice guy. Maru is a man that makes a whole lot of choices, most of which are not apparently good at first. Most of which are not even logically apparent at first. Most of which bring a rich and powerful drive to this drama. There is a real resonance with the opening scenes of the drama, a clock marked innocent ticking backwards-a feeling of loss, of desperation, of a life that is completely stuck due to past events. This is a hard character concept to portray well, a hard person to sympathize with initially. The writer did an excellent job at building Maru up into the type of person the viewer could cheer for, even when not every motive was apparent. Maru is a complex character, a man whose motivations really make him a nice guy. A man that is so much of a nice guy he begs to be pitied but is written and acted in a way that draws respect. A truly great character indeed. Wow! Everything you write has such ease and sophistication, reading it makes me want to cry. I kid you not it actually makes me want to cry. I completely agree, Kang MaRu is one of the most complex, pitiful but a character that deserves so mug respect! Song Joong Ki was absolutely born for this role! 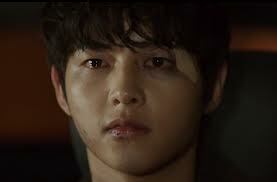 Kang Maru is a character that I will not soon forget- and Joong Ki really displayed his acting talents in a mega daebak way in his portrayal of Maru. 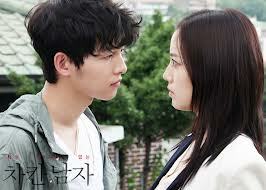 I cannot wait for the next Joong Ki drama or movie, he is one flower boy that is worth watching. I can’t wait to see what he stars in next. I just read all intro to running man. best life lessons from kdrama and this. Totally enjoyed your blog.Amazing!